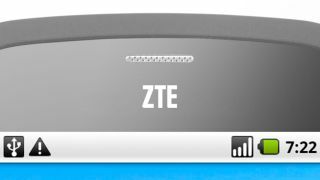 ZTE will at last launch a major, high end smartphone at CES 2013 in Las Vegas, as it finally steps up to take on the key players in the mobile market. The Chinese firm is steadily building its brand around the world, with mainly budget and mid-range handsets to its name so far including the ZTE Tania, Grand X and Kis – with a distinct lack of killer devices. That's set to change come January, with Hagen Fendler, ZTE's global chief design director telling Computer World: "It will kind of be a starting point of a new design era for ZTE." Fendler was unable to offer any further details or insight on the handset, but we'd hope it will sport a 4.5-inch or larger display and pack some serious power and technology under the hood to rival the likes of the Samsung Galaxy S3, HTC One X+ and iPhone 5. Previously there have been rumours surrounding a "Nubia" device from ZTE, and although Fendler confirmed this brand did exist, the phone currently in question does not belong to this family. "The Nubia brand is a second brand, which we use to address the high-end in parallel to this activity." It looks like ZTE may be taking a leaf out of Sony's book, which has two separate channels, both of which have their own flagship devices in the form of the Xperia S and Xperia T.
TechRadar will be Vegas-bound in January to hit CES to bring you all the latest on ZTE and it's new flagship handset, so stayed tuned for the inside skinny.